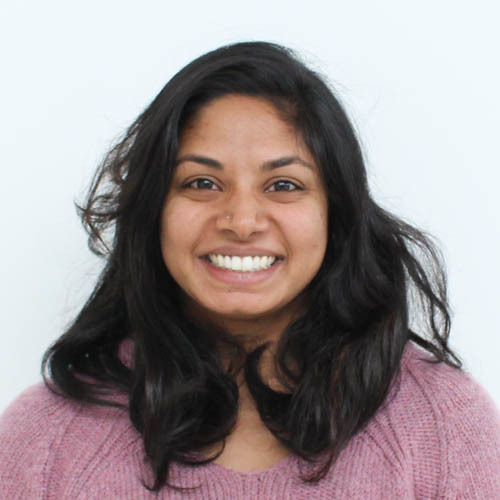 Nandini is the research assistant for the Boston University ALPS Grant Project at the Center for Innovation in Social Work and Health (CISWH). She assists in building a network of public health social work programs through the grant and supports public health social work research and student enrichment for the dual degree MSW/MPH program at Boston University School of Public Health. She graduated from Boston University School of Social Work in May 2017, specializing in macro social work and gerontology, and had conducted research in her specializations at CISWH as a social work graduate student. Nandini spent the summer of 2017 in France conducting independent research on French health care systems in the city of Montpelier. Nandini is an MPH candidate at George Washington University Milken School of Public Health. Nandini successfully taught a falls prevention class to a community of older adults who are underserved in the Dorchester neighborhood of Boston. She ran discussions and aided in improving the well-being of this community by establishing regular fall prevention classes at a local Dorchester community health clinic. Nandini enjoys playing the piano, riding her bike, and practising mixed martial arts. She is also a foodie and coffee connoisseur and enjoys exploring local eateries.